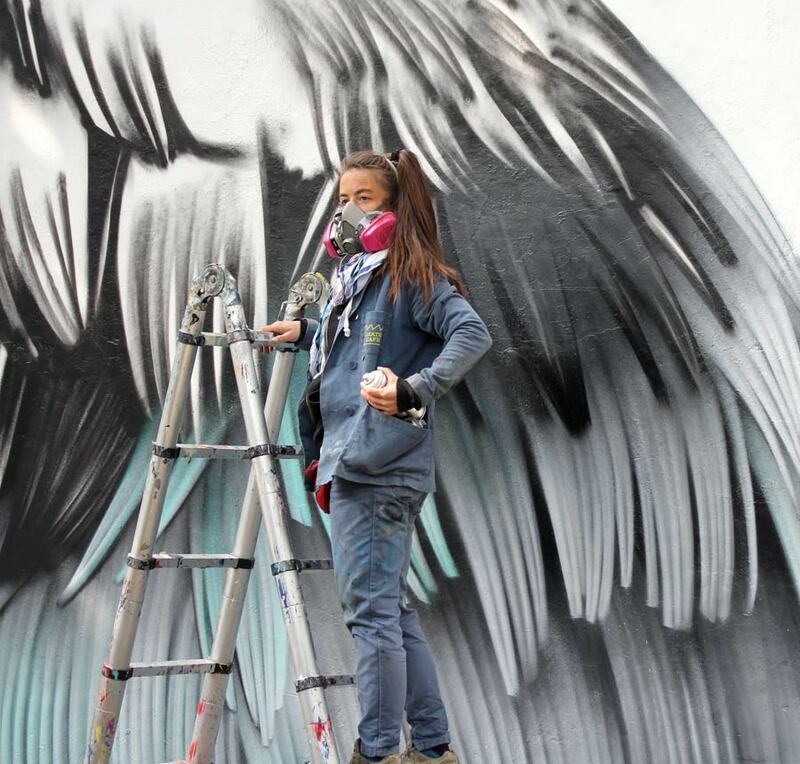 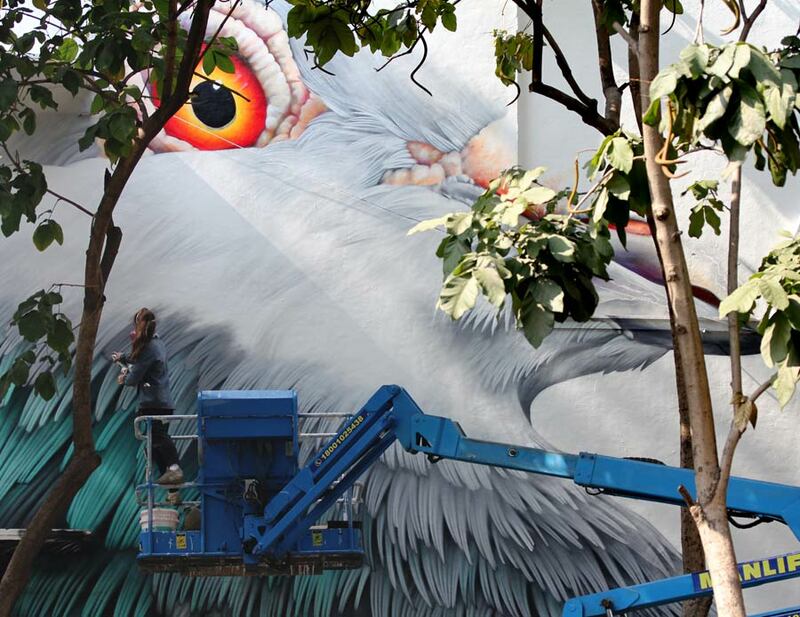 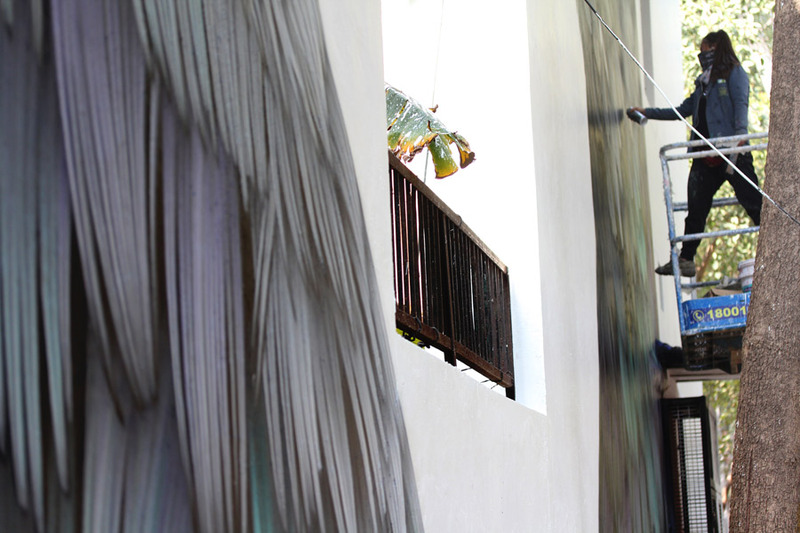 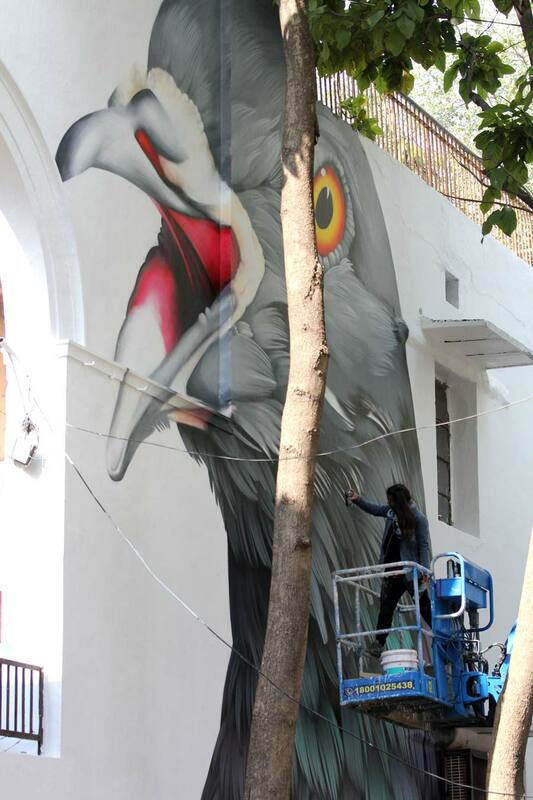 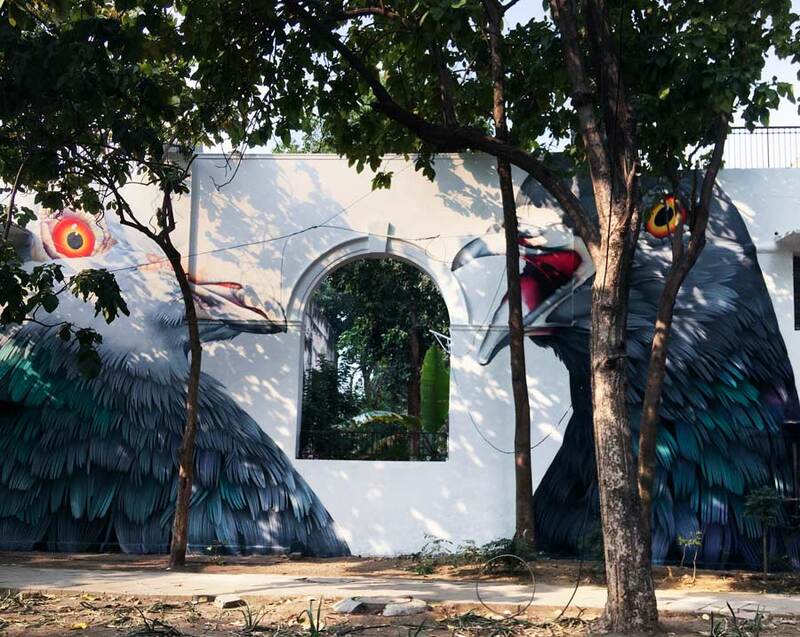 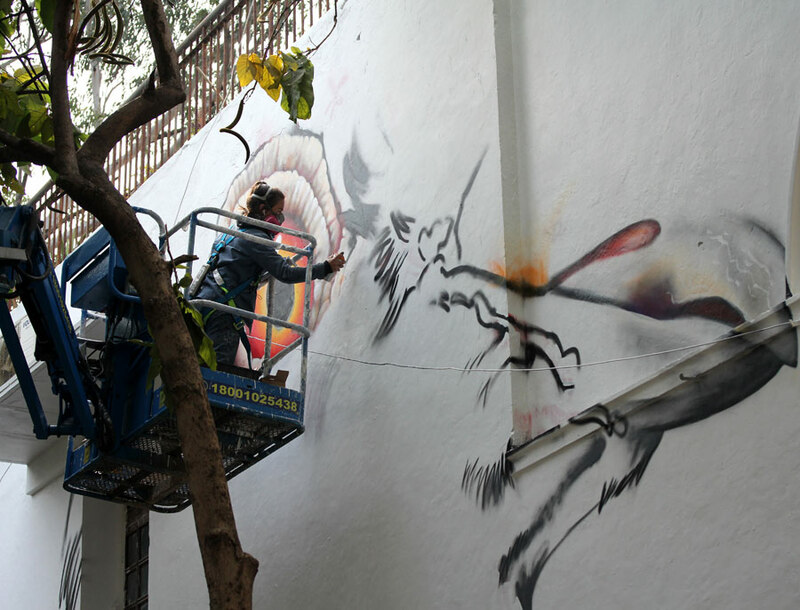 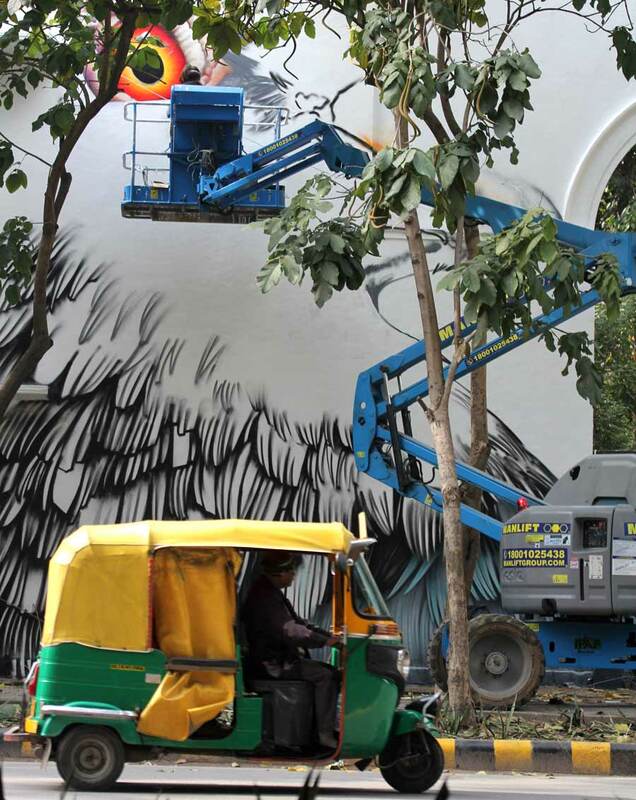 Belgian Street Artist Adele winged it over to New Delhi last week to bring one of her multi-feathered friends to this new wall in the Lodhi Colony. 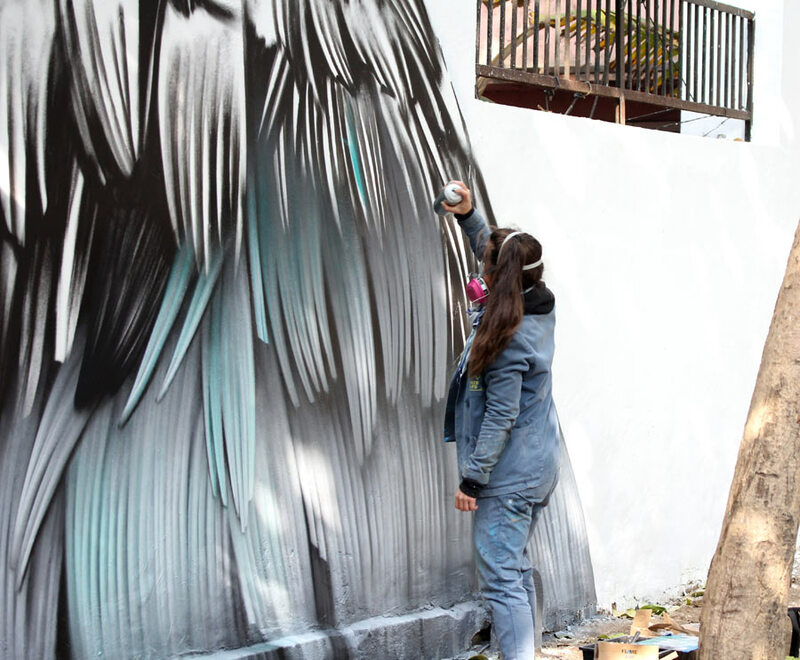 With her mother as assistant (and photographer) the intensely detailed and passionate aerosolist hardly stopped while a steady parade of people and animals interrupted their daily travels to gander at the huge bird taking form in front of them. 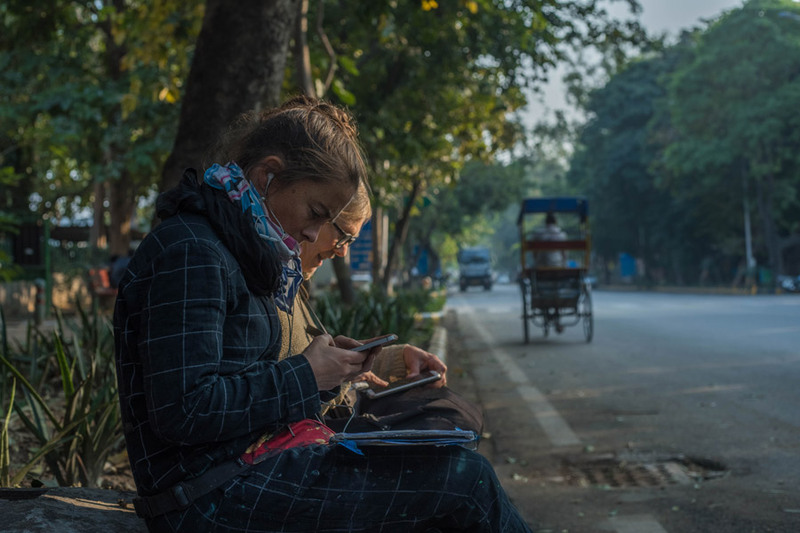 January is the only cold month in Delhi, she tells us, so she felt quite lucky to be able to paint during a period of relative comfort. 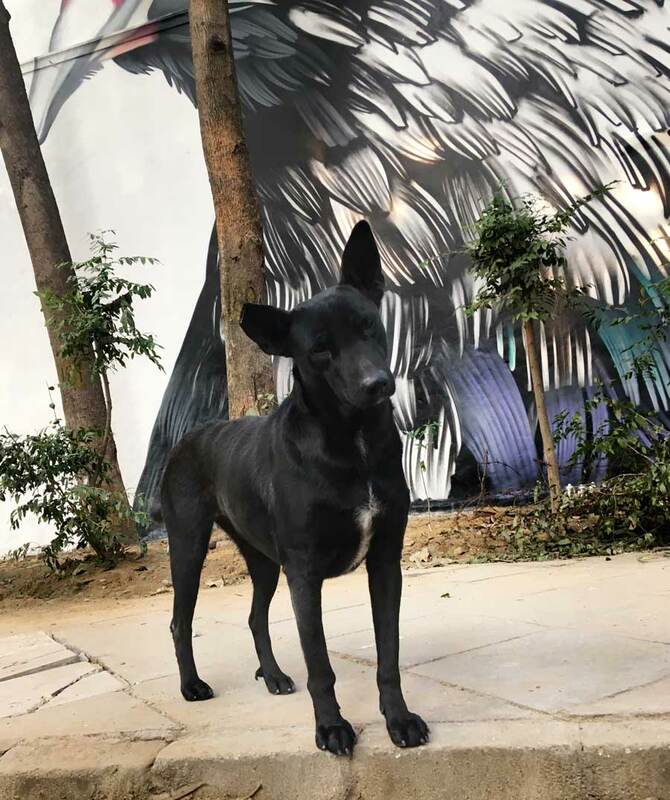 “I was greeted by stray dogs every morning,” she says. 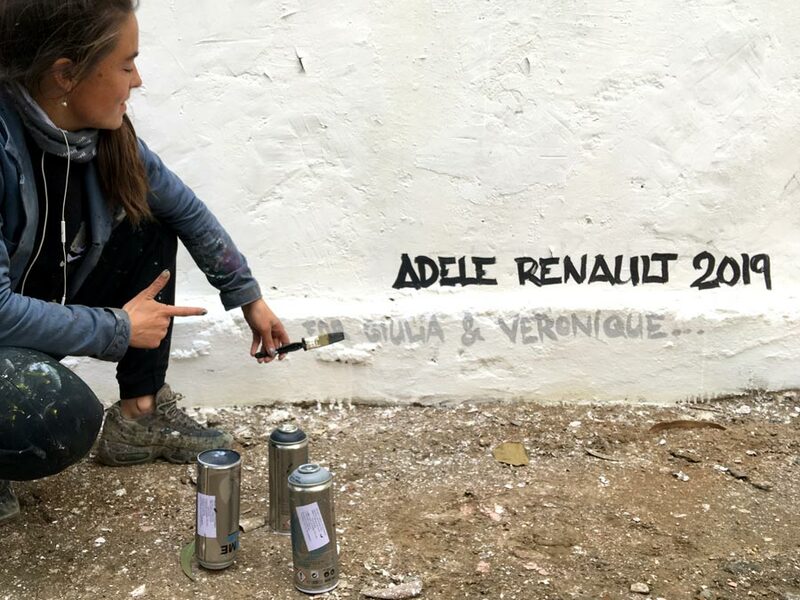 Adele says she was thankful for a rare opportunity to spend quality time together with her mom Veronique and says they plan to continue their trip through India. 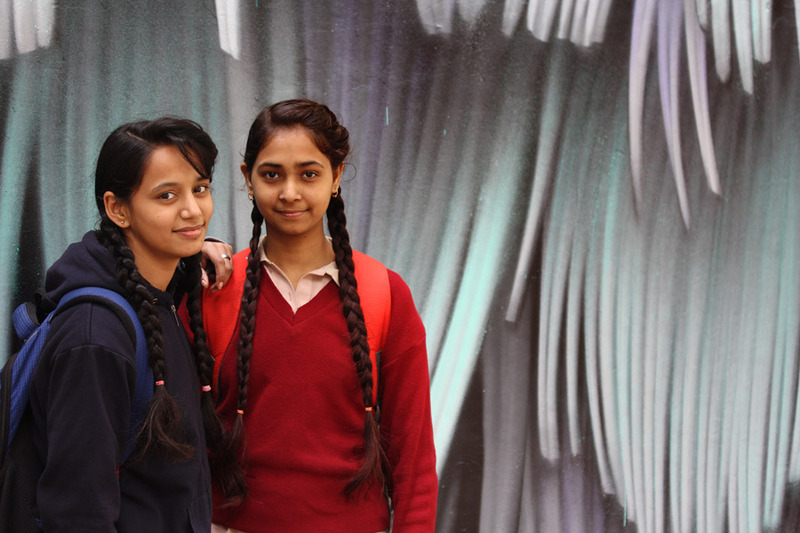 We’re pleased to share her photos exclusively for BSA readers today.